NEW RESGISTRATION OPEN FOR 2019/2020 school year is open now! Contact us to fill out an application process to get you an interview with your families needs. We will be full guaranteed so don’t wait and get in line early to secure your spots. 15 seats in a limited route means we will be full by the end of the summer. 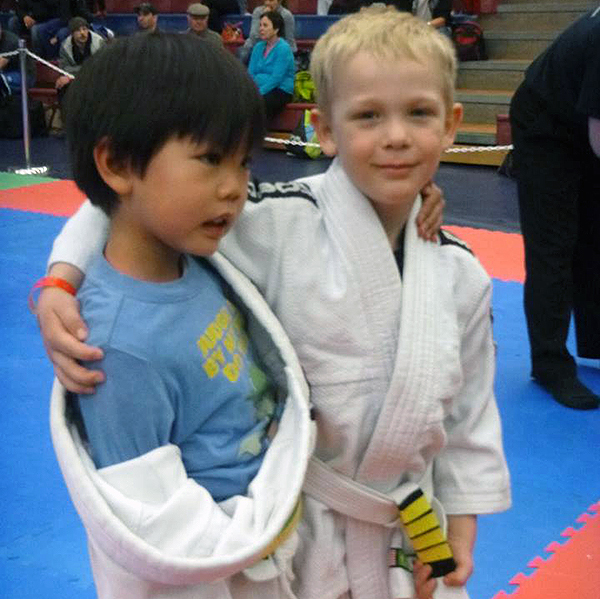 Our goal is to offer the very best afterschool program offered in Canada! The Kaiten Academy After -School Transportation program. We have done our market research and we challenge anyone to provide a better more complete package for Afterschool programming in Canada. We are all about familes and are proud to offer the best afterschool program dollar for dollar then anything in Canada. We have an amazing option for your children’s after-school education and recreation for ONLY 28 Dollars a day!! What does the Kaiten Mixed Martial arts Program offer? We teach your children how to learn, and not just what to learn. Your children’s leader will be a former school teacher, Mr, Cory Antrim and his wife Transportation will be done in a brand new mini-bus with the most secure saftey package available including bus impact air bags, shoulder style seatbelts and the best insurance possible. Students are picked up daily upon conclusion of their school day and transported to our facility where they eat a healthy snack provided by their parents before commencing in their daily age specific education ending in their daily phsyical excersise or martial art lessons. Throughout the duration of their martial art classes where they will improve their physical fitness, learn self defense and most importantly learn character building skills (Respect, Discipline, Self-Control, and Confidence). This class will keep your child smiling,sweating and learning! Built into each Martial Arts Class will be a Message of the day focused on character building, lifeskills and developing leadership qualities. The previous lessons for life are exercised daily at Kaiten’s afterschool“Lessons for life” Program, all things that your traditional daycare or a babysitting option does not provide. After each martial arts lessons comes the Class Time! This daily time-slot includes homework or brain-building time. During this block of time our Kaiten After School staff is like your own tutor that will focus on helping your child complete any homework assignments or review any subjects they may be having difficulty with. If you child doesn’t have any homework an alternative, yet mentally stimulating activity will be provided such as reading, select games and puzzles. If needed,students will be provided with supervised Internet access to complete homework assignments.The unique teaching style makes every exercise a game and therefore, fun! Being a child is all about having fun! The structure of our lessons for life after-school program, makes each child feel feel that their after-school program is fun and not a chore. It is also an opportunity to play after a long day of instruction, a place where they can make new friends. The positive self-image that results from disciplined work, accomplishment, and true martial arts training prepares them for years of life challenges to come. Self-esteem is the backbone of a successful mindset, Kaiten kids will stand up and say no the negative peer pressures they face every day and yes to success. Our program will change your child’s life for the better, forever! Kids that go through our program leave with a positive attitude, full of confidence to tackle the world that awaits them. Parents leave their kids with us because they know we are dependable and consistent in the values we develop in children effectively. We accept drop off !!! ALL wrapped up before dinner… and they have FUN in the process!. Your evening finally can then be saved for quality family time. Typically 3hrs daily from student pick-up to Parent’s pickup 5:30-6 PM. All Classes taught by program head Mr Cory Antrim, former school teacher with experience teaching with all ages. All martial art lessons and in house Supervisor will be Karmjeet Manhas; Black Belt, 20 yrs plus multidisciplinary marital arts training, 15years plus instruction experience. All staff must have a clean driver’s abstract and will have to meet the parents for consideration. We give parents the peace of mind with quality childcare. Parents can focus on their work knowing that their children are having fun and developing long term real life skills in a safe environment, making good use of their time. This is also the perfect way for kids to get fit and stay health from exercise. When you pick up your kids, they will have learned something new and grown from the day’s lessons. 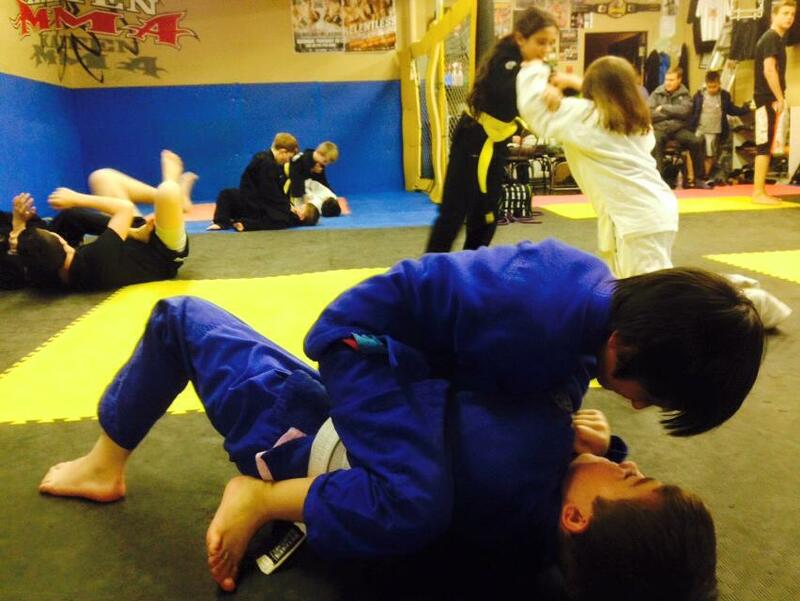 What ages can enroll into Kaiten MMA’s After School Martial arts Program? This program is available for children between the ages of K to Grade 7 (subject to availability and restrictions, inquire to see if your child meets the criteria via. Email or call to book an appointment to view our facility and for a consultation for more details. NOTICE- Registration for After-school programs start Monday Aug 17th 2015 . Call us to book an appointment to see if your child’s school is in our route.